Good afternoon every one! Today’s post is about Pink Blush!! I am so honored to be able to work with this company for a collaboration! I adore their clothes so much! They have super comfy maternity clothing as well as comfy women’s and plus size clothing as well! I came across Pink Blush when I was pregnant with my daughter! 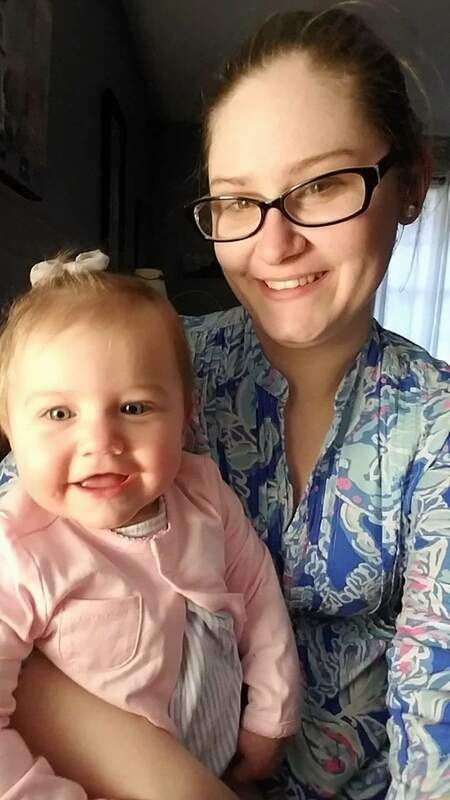 I was looking for comfy yet stylish maternity clothes that didn’t look like maternity clothes and that I could wear after my daughter was born too! I’m happy to say I’ll be posting a picture of each outfit below with the link to purchase it below it! Both of these dresses are super comfy! I am also holding a giveaway on my Instagram so be sure to drop by and enter it!! I am wearing a small in both dresses! Hope each of you have a wonderful day!! Good afternoon everyone!! I’m so glad that you’ve stopped by to take a look at my blog! I haven’t posted any monthly updates about Lexi the last two months! I’m sorry about that! So today I’m posting it! I’m also going to try and post either weekly or by-weekly! What are some suggestions y’all would like for me to post? Give me all the ideas! 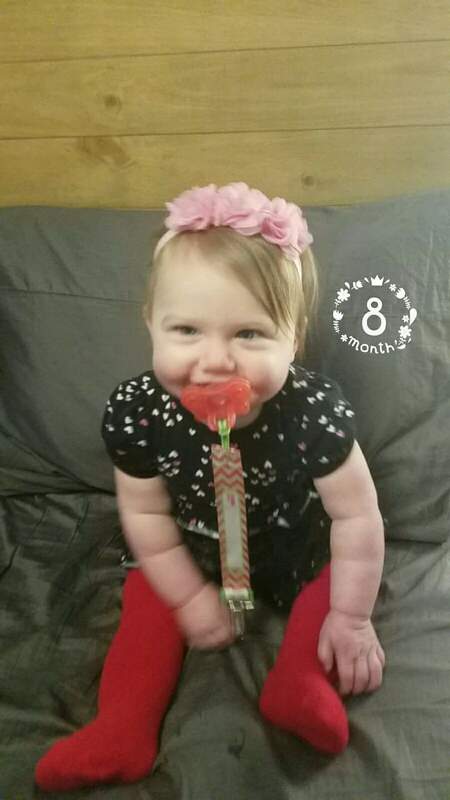 Ok now onto Lexi, she’s 9 months old this month! She knows how to crawl, is learning to pull herself up and let’s go so she can try and stand on her own! I’m so amazed at how much she’s learning! She loves her books which I’m sure I’ve mentioned before, also loves to eat anything we eat! 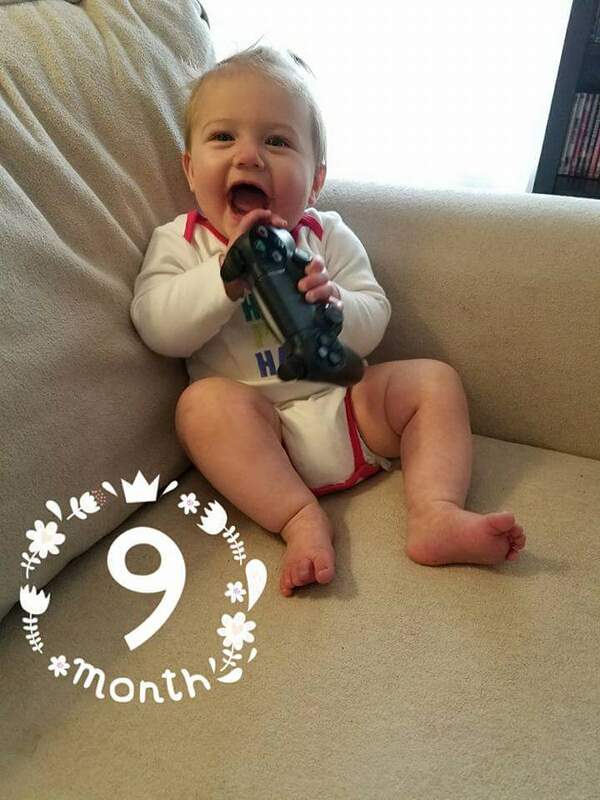 I’ll post both her 8 month and 9 month pictures below! Praying that each of you have a wonderful day! !